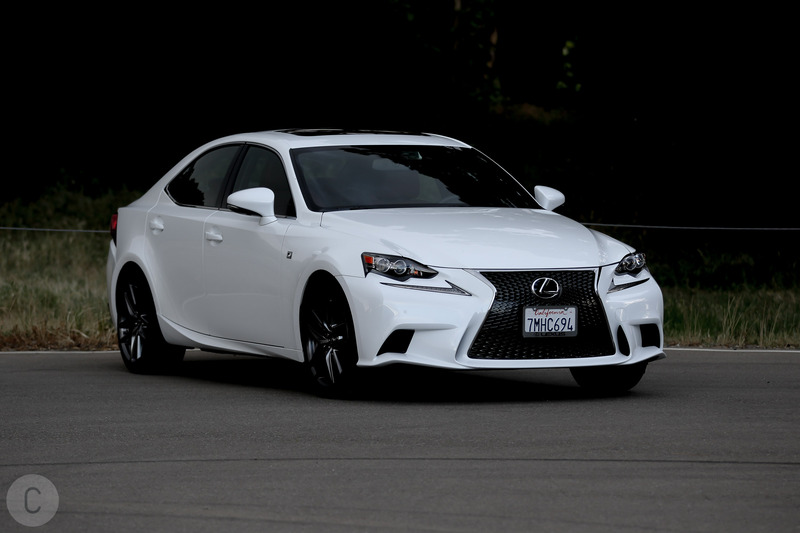 Is the 2016 Lexus IS 350 F SPORT worth the hype? 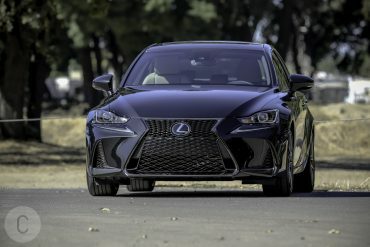 Although the design of the 2016 Lexus IS 350 F SPORT is essentially unchanged, it comes with a reconfigured three-tier lineup that caters to most car enthusiasts with rear- and all-wheel drive, 4- and 6-cylinder engines, and a diverse range of F SPORT packages. 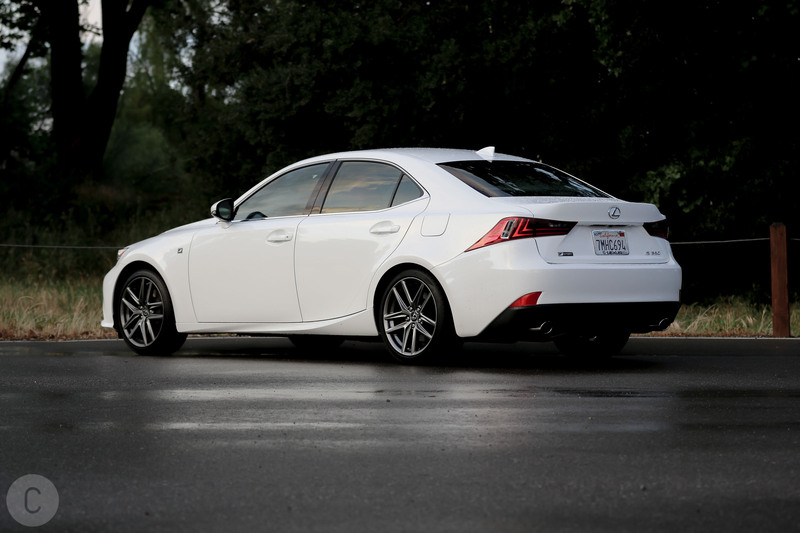 The Lexus IS 350 feature that will grab your attention the most is the spindle grille. Models from the F SPORT range get an all-black mesh grille inside the shape of the spindle, which creates a gaping maw that looks quite aggressive and attractive. The 2016 Lexus IS 350 is the upgrade trim-level of the IS 200t luxury sedan and comes in all-wheel- or rear-wheel-drive configurations. You can also get it in a less powerful variant with AWD called the IS 300. We tested the F SPORT model with rear-wheel drive. 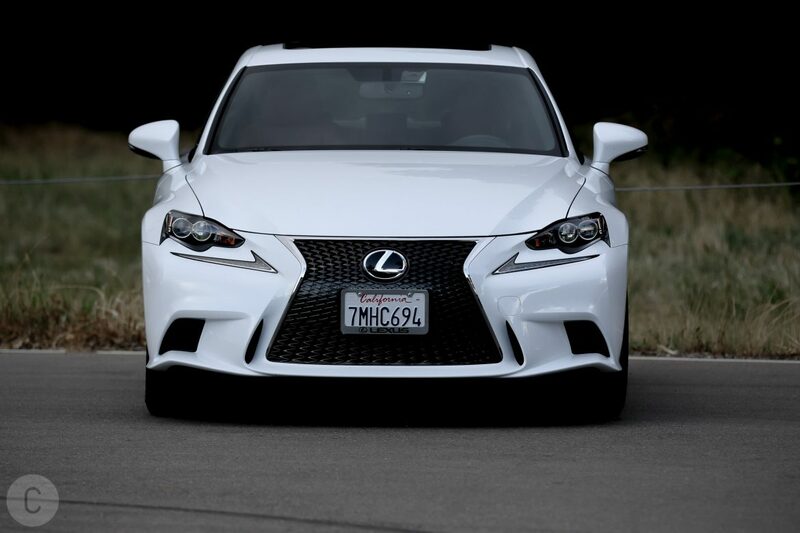 We have to admit the Ultra White IS 350 F SPORT we drove is powerful, comfortable, and gorgeous. It may not be as gorgeous as Jennifer Love Hewitt in Can’t Hardly Wait but is pretty close nevertheless. 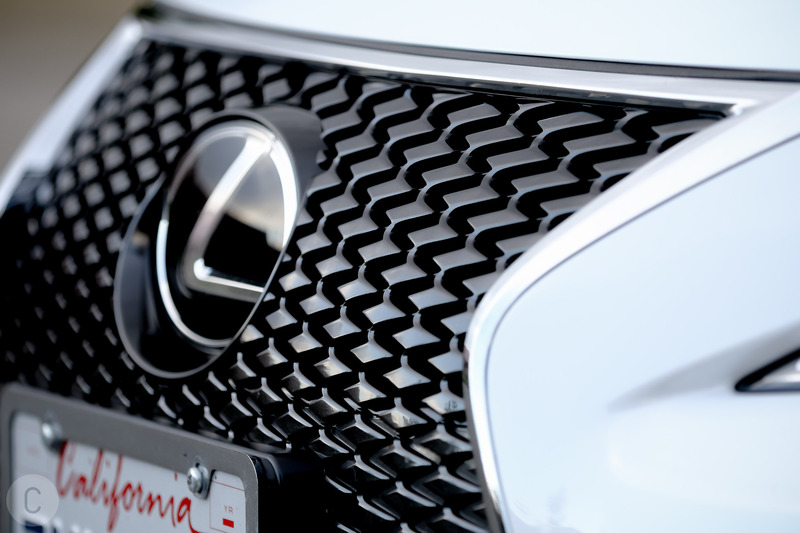 This is not the first time we have seen a “spindle grill” but for 2016, Lexus made it a little more extreme, adding to its attractive looks. 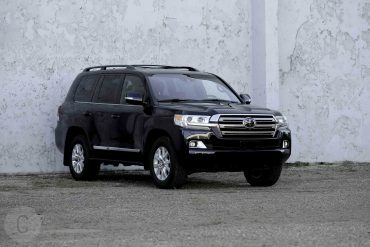 With standard LED headlights, the vehicle gets a more distinctive face. 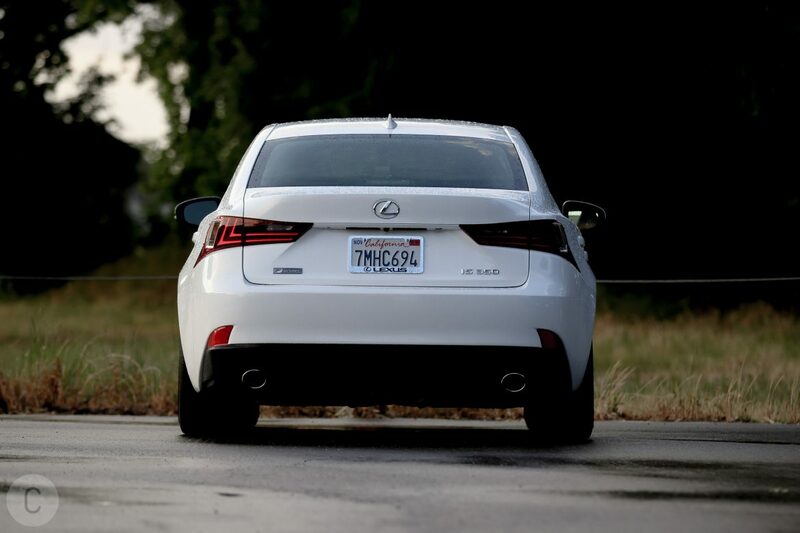 The distinctive L-themed tail lights and 5-spoke 8-inch wheels at the rear, finish off the IS 350’s ultra-mod look. 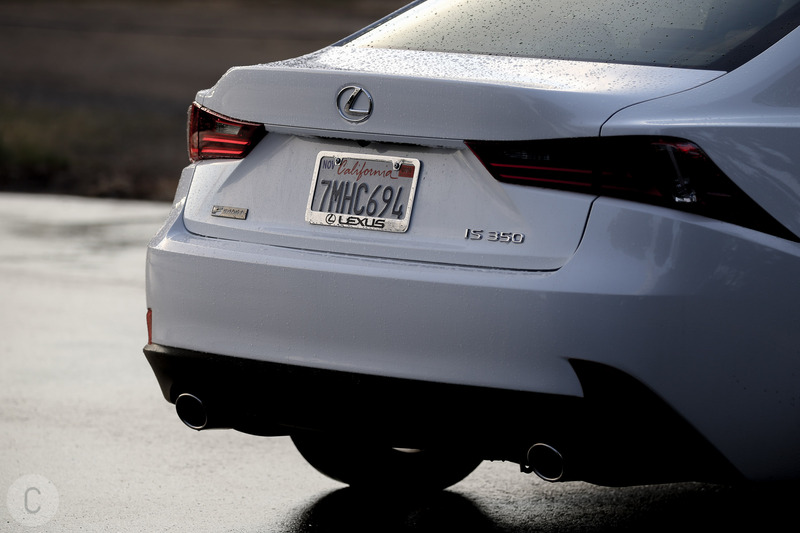 The IS 350 comes with sensational features like the dual chrome exhaust. 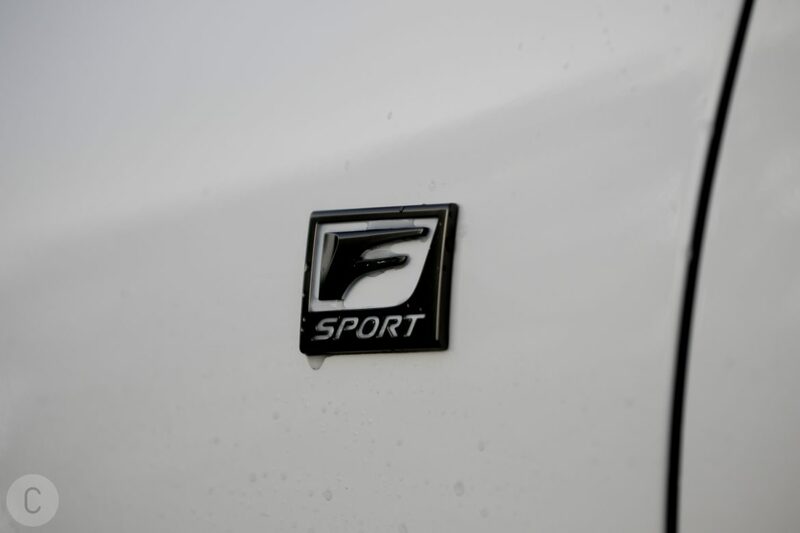 You can also get the F SPORT Package, available at $3,155. 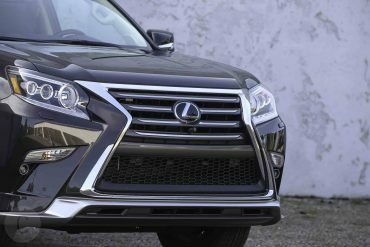 This includes the F SPORT front bumper and spindle grill, high and low beam LED headlamps, and the awesome 18-inch F SPORT split 5-spoke wheels. The exterior design is certainly impressive with its expressive, angular lines that wrap around the front end and continue in graceful and lean curves down the sides and rear. However, we have to mention that there are a few design elements that may not be for everyone. For instance, the LED day-time running lights at the front are housed just below the headlights, in their own strip, instead of being a part of the headlight unit. 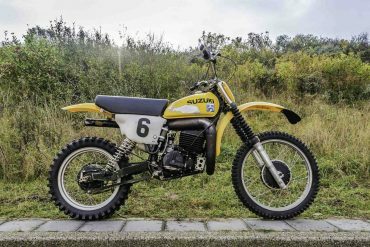 Also, at the rear, the tail lamps wrap around the sides, forming a noticeable spike, and from some angles, the duct placed behind the front fender can look a little awkward. 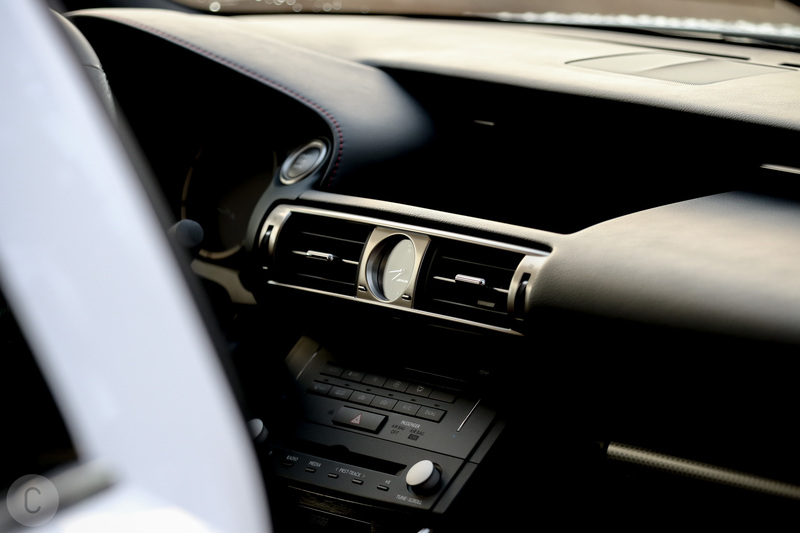 The F SPORT’s interior is an aggressive and sleek command center that is sure to get you in the mood to blast off. 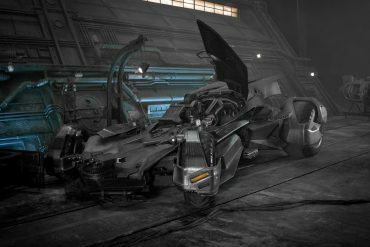 Kind of like Optimus Prime did at the end of that spectacular Transformers 4 movie! 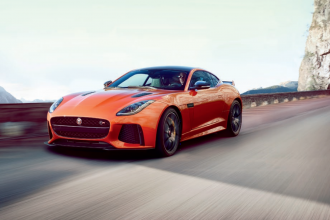 It has enhanced bolstered sports seats that are engineered to give you a secure grip through every turn as well as an ergonomic perforated leather-trimmed steering wheel, aluminum pedals, and race-inspired instrumentation are sure to satisfy your craving for performance. 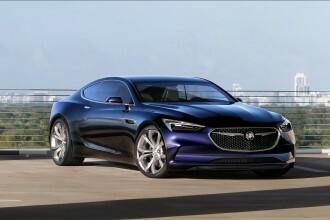 Additionally, your desire for cutting-edge design will be satisfied by the distinctive accents and exclusive stitching. You will be wowed by the Rioja Red NuLuxe with Silver Performance trim, which you will find only in F SPORT models. What is awesome about the NuLuxe seating material is that it has a lot more to offer than just good looks and supple texture. Its weight is half of that of leather and also, its manufacturing process generates far less carbon dioxide and VOC emissions compared to other synthetic leathers. The interior features include the F SPORT steering wheel with paddle shifters – do not miss the cool F that is on the bottom of the steering wheel. This is what shows that you are not driving an ordinary IS model. Other poignant features include the illuminated door sills (priced at $425), trunk mat (priced at $105), cargo net (priced at $65), and power tilt/slide moon roof with one-touch open/close. The F SPORT Package gives you some other attractive features like TFT instrument cluster, which is identical to the digital gauges that are found in the world-famous LFA supercar. Found in all IS F SPORT models, this instrument cluster features a digital display that moves with a sliding bezel. Whenever you access information, it expands and retracts digital readouts – it can’t get much cooler than that! 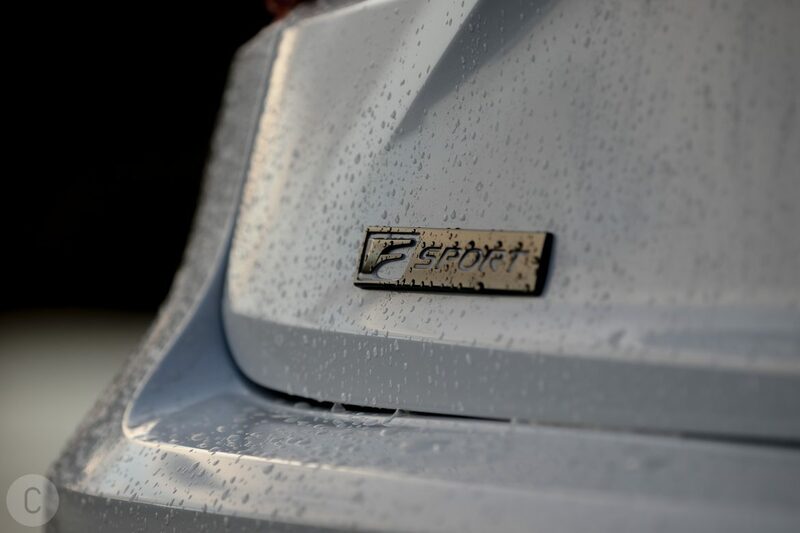 The F SPORT is the real deal! Taking the comfort of standard seats up a notch, the available heated and ventilated front F SPORT seats come with separate heaters and fans in the seat cushions to provide you with unmatched comfort regardless of the weather. That is not all. Combining exquisite craftsmanship with superb comfort, the IS 350’s interior features a steering wheel and shift knob trimmed with fine, hand-selected leather. The aluminum pedals, black headliner, backup monitor with grid lines, and silver performance interior are all designed to give you first-rate looks, comfort, and convenience. You will definitely be impressed by the driver-focused cockpit of this car. The IS 350 F SPORT’s fuel economy is pretty good. It boasts 19 city, 28 highway and 22 combined. We matched those numbers after one week’s worth of driving. We advise you to stay in Normal or Eco if you want to attain those numbers. Because of oil shale development, fuel prices are low. 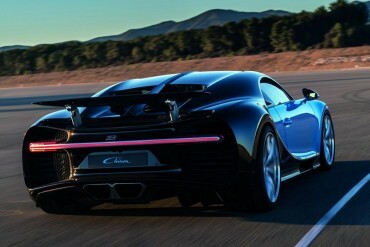 Oil shale is awesome – almost as impressive as this car. 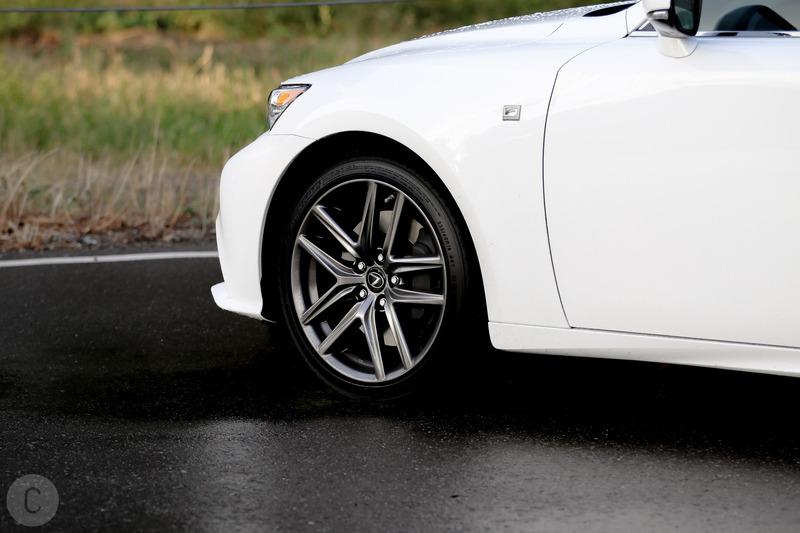 Our test 2016 Lexus IS 350 F SPORT was packed with performance upgrades, like the aforementioned staggered-width, 18-inch aluminum wheels with 225/40 front and 255/35 rear performance tires, an Adaptive Variable Suspension, upgraded brake pads and a Sport+ driving mode. You will be highly impressed with its performance, just as we were. 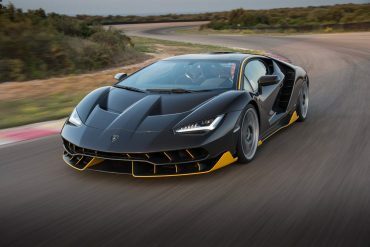 The carmaker also added its Variable Gear Ratio Steering system, turning the luxury sport sedan into an aggressive beast you are sure to love driving. 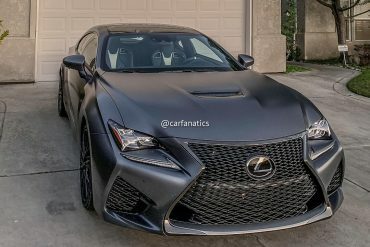 Everything else in the IS 350 F SPORT remains stock, including the 306-hp, 3.5-liter V-6 engine as well as the 8-speed automatic transmission that comes with paddle shifters. 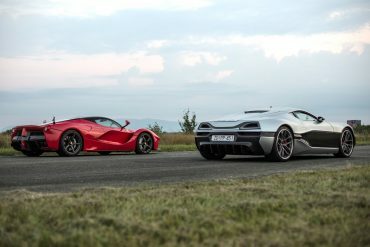 Lexus says that this combination produces acceleration to 60 mph in 5.6 seconds as well as top speed of 143 mph. While these numbers may not be the leaders in this class, they do reflect the sedan’s potential to thrill you when you are behind the wheel. They may not be Fast and Furious numbers but so what, not everyone is Dominic Toretto. The IS 350 has a “Drive Mode Select system” which features up to four driving modes, so you can tailor its comfort, performance, economy, and handling characteristics. The sedan combines the reliability that Lexus is known for with an impressive performance to give you a stellar ride every time. When it comes to teach features, the IS 350 F SPORT does not disappoint. Convenient technology surrounds you once you’re seated, from Bluetooth-compatible voice recognition to the HomeLink universal transceiver which allows you to control compatible gate, garage, home security, and home lighting systems. 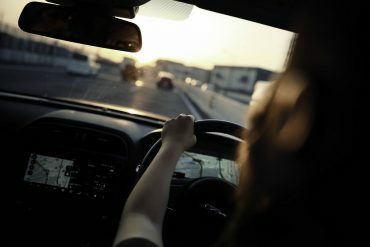 Also, to help you focus on the road ahead, the car comes with intuitively placed controls that enable you to access various essential features without taking your hands off the steering wheel. If you want unmatched sound inside your car, you should select the Navigation/Mark Levinson Premium Audio Package (priced at $2,645). When it comes to the audio package, the available 17-speaker Mark Levinson Premium Surround Sound system is no less than divine. This sophisticated audio system features GreenEdge speaker technology that gives you two times the output of conventional speakers. 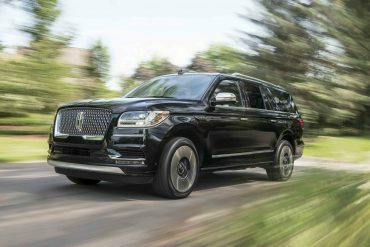 It does not stop there – it also has mid-range Unity drivers that recreate a sense of openness inside your vehicle. You thought Lady Gaga and Ice Cube sounded good before, this is a whole new ball game! You can use your voice or the high-resolution multimedia display to access the available Navigation System. This system has the ability to map millions of points of interest all over the country and display information in English, Spanish, and French. Now you can avoid the worst parts of American cities and the wrong turn offs so you can get to your destination smoothly. You can acquire up-to-date weather and traffic information, simulated views of the road ahead as well as approaching highway junctions, 3-D city views, and also automatically displays for nearby gas stations when your fuel begins to run low. Apart from these features, the 2016 IS 350 F SPORT Remote Touch interface, Lexus Enform Destinations, App Suite, electrochromic auto-dimming rear view mirror and much more, all for you and your passengers’ comfort and convenience when you are inside your vehicle. The IS 350 F SPORT has some of the best safety tech available in vehicles. It has some of the most advanced safety features that are available right now. It is no wonder that the NHTSA gave the car a five-star overall rating with top 5-star results in rollover and side impact and 4-star frontal results. 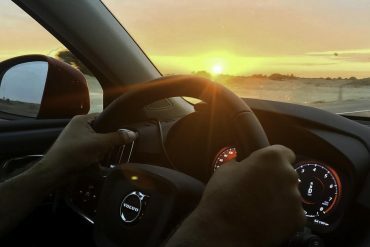 The vehicle offers many optional and standard features that help in enhancing safety while you are on the road, including 10 airbags, blind spot monitors, lane departure warnings, rear cross-traffic warning, and subscription-free weather and traffic updates in the new infotainment system. 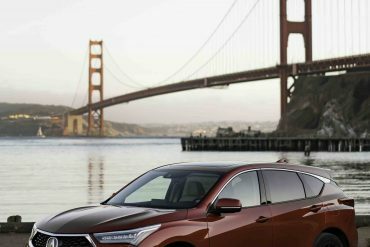 The Lexus Enform Safety Connect features automatic collision notification, emergency assist button (SOS), Lexus Enform Remote, stolen vehicle location, and enhanced roadside assistance. 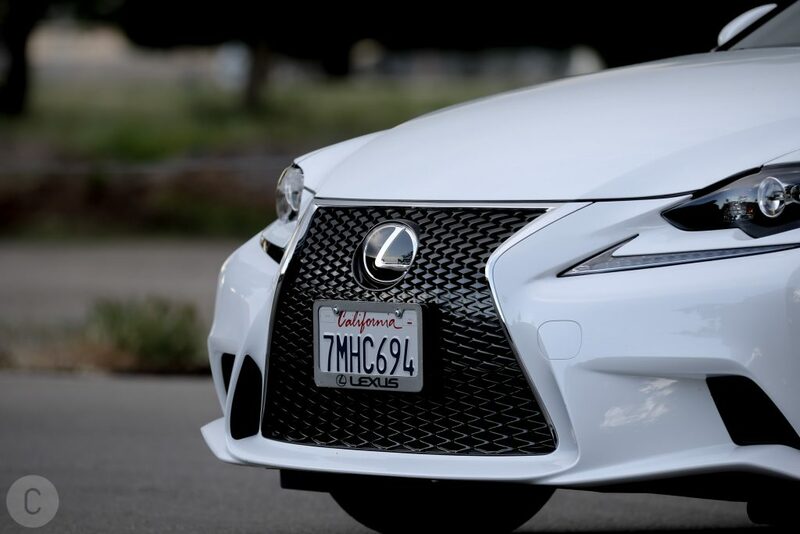 You are covered for every kind of emergency situation that could crop up unexpectedly, so you never have to worry about safety when you are in the 2016 Lexus IS 350. Well, if you are driving near a drunk pop or movie star, you may have to. 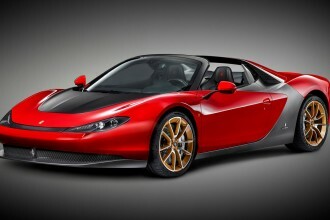 But with the power at your disposable with this car, you can pretty much outrun any threats. 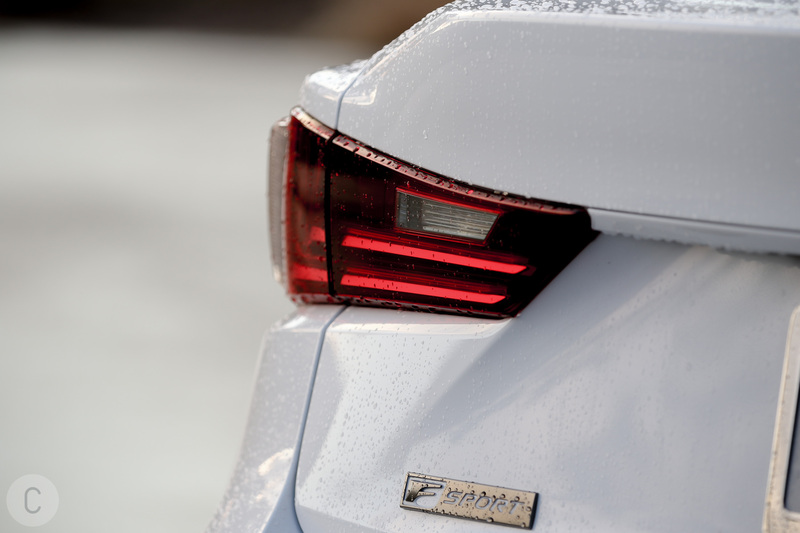 The MSRP of the 2016 Lexus IS 350 F SPORT is $40,870. After you add the Navigation/Mark Levinson Premium Audio package and F SPORT, it comes to a grand total of $49,205. 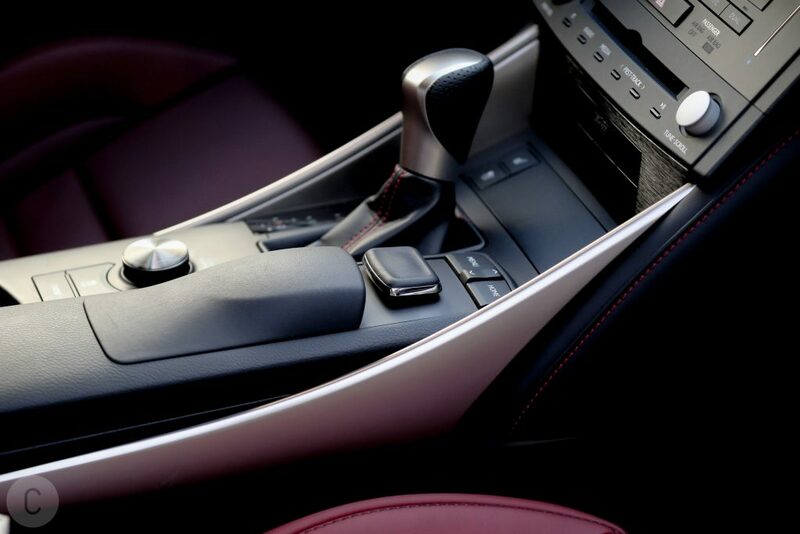 What we liked: LFA-inspired interior, bold exterior design, strong V-6 engine, and precise steering. What we didn’t like: No manual or hybrid option. 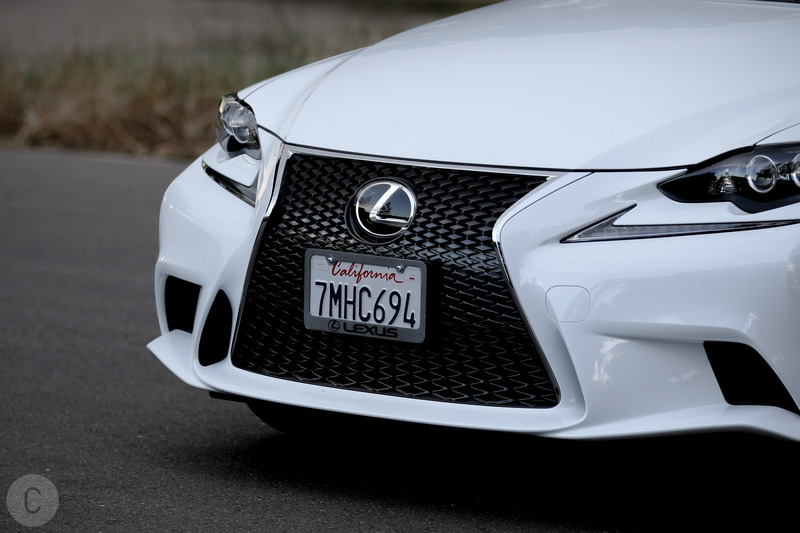 The 2016 Lexus IS 350 F SPORT is in a highly competitive segment, but it is definitely up to the challenge. Its most natural competitor is the edgier Cadillac ATS but the IS 350 does just as well in performance and driving dynamics. The Audi A4 is another competitor but its looks are very simplistic. 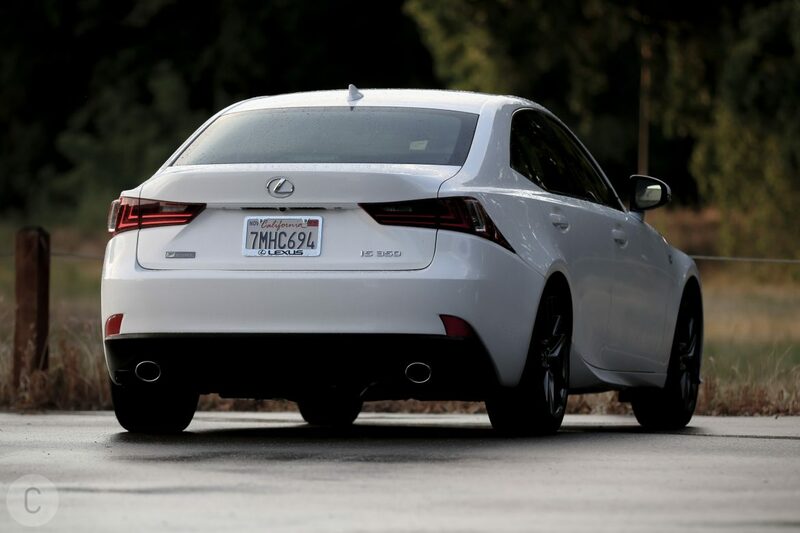 The Lexus IS 350 definitely holds its own, especially when it comes to fuel economy and engine power. 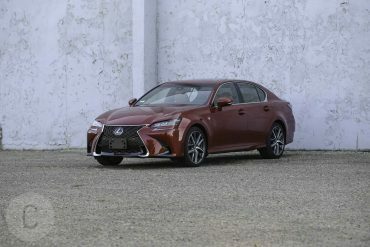 The BMW 3-Series and Mercedes Benz C-Class are other rivals, but we think that the 2016 Lexus IS 350 F SPORT is a luxury sedan that is pretty capable when compared to them. 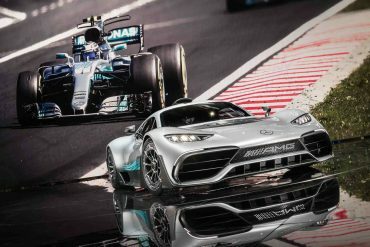 When it comes to looks, the Mercedes Benz C-Class and the BMW 3-Series do not rise up to the IS 350 as well. Only the Cadillac ATS can say that.